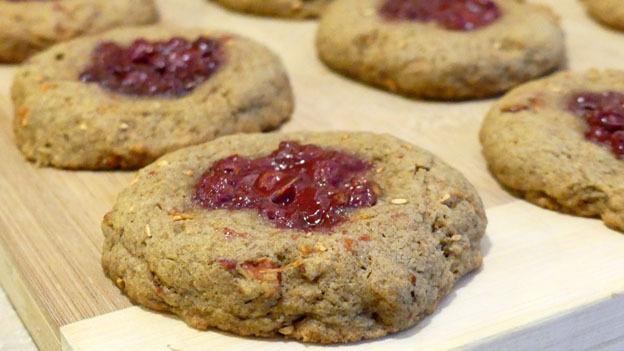 Enjoy a mouthwatering vegan cookie that contains wild edible hawthorn berries. Very healthy for your heart! In a small bowl, whisk together the flour, baking soda, and salt. Place the dry ingredients into the wet ingredients (which includes the hawthorn berry mash) and mix just until thoroughly blended. Create balls that are just slightly bigger than golfballs. Press the balls into patties and place them on a baking sheet. Bake for 9-11 minutes - be sure not to overbake.